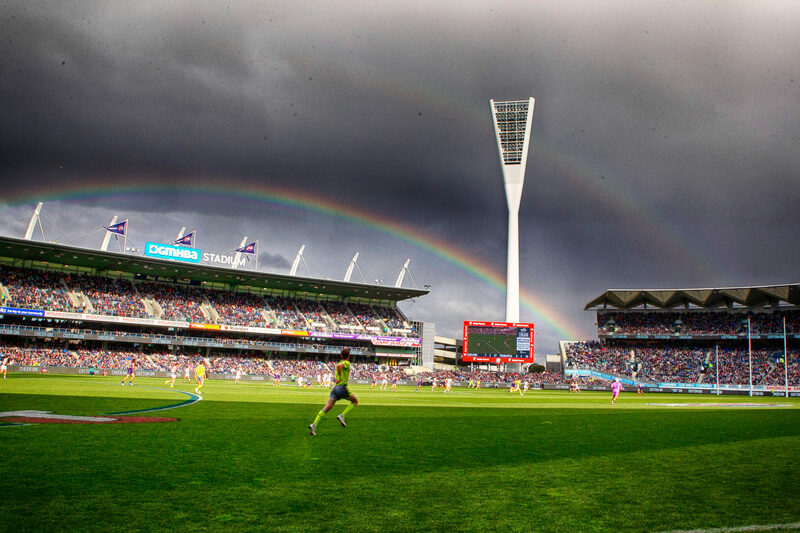 With the release of the 2019 AFL draw on Friday, we thought we would look back at the 2018 AFL season at GMHBA Stadium with some fun facts and stats. Footy fans sure are hungry people. Crowds took advantage of $3 pies before the bounce in Round 23, buying 3,176 pies in that round alone. Rotary Club Food Van Sales raised $15,000 for the local community. The stadium saw 44.19% decrease in the amount of general waste compared to 2017 due to a new recycling program. Thank you to all the footy fans who attended games at the Stadium across the season. We look forward to seeing you all again for the 2019 AFL and AFLW seasons.